For junior Sammy Monk, Louisiana Tech’s reputation in engineering and both its campus atmosphere and its affordability are just a few of the many reasons he calls Tech home. “It is the only university in our part of the country that would enable me to earn the degree I wanted at no out-of-pocket cost,” Sammy said. Eighty-nine percent of students on campus receive financial aid from the University. Louisiana Tech is also ranked second in the state for lowest levels of student loan debt. The Oakdale native is attracted to industrial engineering because it “provides the mathematical tools needed to improve processes,” said Sammy, whose love for math and making things run smoothly is a significant factor in his choice of major. 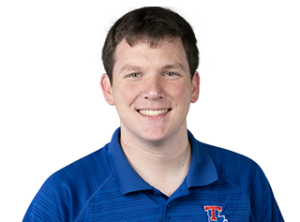 He’s also president of the Louisiana Tech Chapter of the Institute of Industrial and Systems Engineers (IISE), one of more than 170 student clubs and organizations on Tech’s campus. This past summer Monk interned with Zachary Group as a project controls intern where he learned skills “that are valuable in any job,” he said. Sammy hopes to land a post-graduation job that will give him the skills and experiences needed to one day become an operations or plant manager at a large production facility.